No. Bad kitty, very bad. so boid - which did come first - the chickens or the eggs? I'm curious ya know! Very cute! 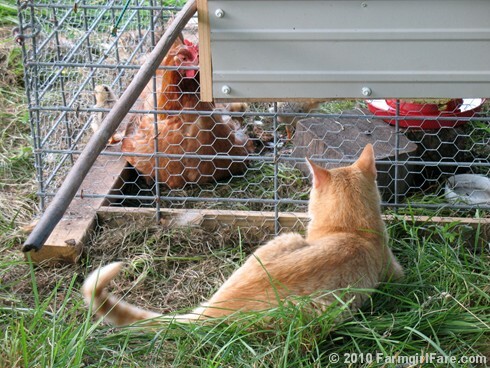 I can imagine my cats watching those little chicks. Mama is quite lovely herself! So cute! Made me smile on this hot humid day!